This report has been authored by Global Debt Registry. When the marketplace lending (“MPL”) industry saw its first securitization in 2014 during a time of rapid expansion of the number of MPL loans being closed and platforms arriving to facilitate them, it was common to hear how the MPL revolution had caused “disruption” in consumer lending. Much has changed since that time, and 2016 has proven to be a particularly tumultuous year. Regulators have fired warning shots to the industry, highlighting a litany of potential risks inherent in third party lending arrangements, and warning against practices and arrangements that may insufficiently protect banks, investors and consumers. The oldest and most prominent MPL platforms suffered public setbacks. The institutional capital that had mobilized around the industry with innovative funding arrangements opted for a more cautious testing of the waters. This has been the year where the MPL industry itself has been “disrupted” by emerging regulatory concerns. What has emerged is a growing realization of a systemic misalignment of incentives in the MPL value chain. Section 1 of this White Paper will discuss the recent regulatory developments that emerged in 2016 impacting MPL platforms, the banks who partner with them, the investors who acquire MPL loans, the warehouse lenders who provide necessary capital to fuel the growth of the market, and the ratings agencies tasked with rating MPL securitizations. Through promises of scrutiny in the examination process to litigation over “true lender” or interest rate portability claims in separate but analogous payday lending arrangements, regulators are touching upon the lack of sufficient protections in the MPL ecosystem. There are concerns about whether platform compensation is too linked to origination as opposed to loan performance, whether original creditors are sufficiently involved in the underlying originations, whether investors can rely on platform loan verification processes which lack independent confirmation, whether warehouse lenders are sufficiently protected from double-pledging if its underlying borrowing entity sets up a Ponzi scheme to keep its operations going, and whether the precedent in Madden v, Midland Funding, LLC will have ramifications for long-term interest rate portability and the enforceability of put-pack obligations. Accordingly, the industry is concerned about whether this misalignment of incentives will lead to a collapse in a down market of increased defaults, as occurred in the mortgage banking industry almost a decade ago. Section 2 of this White Paper will summarize the core risks that appear as recurring themes across the different regulatory pronouncements. Risks are analyzed for each of the types of entities involved in typical MPL funding arrangements. Section 3 describes potential solutions to the growing list of perceived risks in this innovative and promising industry. Is “Valid When Made” Still Valid? Who is the “True Lender”? How Have Madden and the True Lender Cases Changed the MPL Industry? What Regulatory Risks Does It Address? Three years ago, critics of MPL lending would often accuse regulators of not paying enough attention to potential risks in the industry, and suggested that platform lending was largely unregulated. Platforms rightly responded with a description of all of the consumer protection requirements that applied to the origination, servicing and collection of MPL loans, but that answer addressed consumer litigation risk without adequately addressing questions on the role of consistent regulatory oversight in maintaining institutional stability. This past year, the OCC, FDIC, Treasury Department, CFPB and SEC all tightened their focus on the industry with public pronouncements that helped give shape to the future we can expect in federal regulation of platform lending. Courts have added additional wrinkles in scrutinizing the structure of MPL transactions for preemption purposes, while States have also begun their own analysis of possible new local licensing requirements. In March, 2016, the Office of the Comptroller of the Currency (“OCC”) published a “white paper” on the FinTech industry and invited public comment. The OCC charters all national banks and federal savings associations and agencies of foreign banks. The stated mission of the OCC is to ensure that national banks and federal savings associations operate in a safe and sound manner, provide fair access to financial services, treat bank customers fairly, and comply with applicable laws and regulations. 1. Strategic risk: The OCC determined that strategic risk for regulated banks remains relatively high as banks try to execute their strategic plans and face challenges with growing revenue. 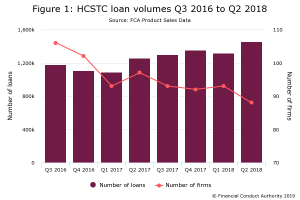 2. Credit risk: The OCC found that credit risk in the ecosystem is increasing because of impressive loan growth in recent years. The OCC noted an increase in concentrations and risk layering, as banks aspire for yield in an increasingly competitive market. 3. Operational risk: The Comptroller expressed concerns about increasing cyber threats, the overreliance on third-party service providers, and resiliency planning. 4. Compliance risk: The White Paper noted that banks face challenges meeting regulatory requirements, noting the challenges of managing Bank Secrecy Act risks as well as new regulations governing mortgage disclosures and the Military Lending Act. The OCC announced it was creating a working group to study developments related to marketplace lending, and urged industry participants to protect consumers and grow the industry in a safe and sound manner. The OCC is also considering the possibility of a limited charter for MPL platforms in order to address criticisms that the platforms otherwise are not directly regulated like other types of lending institutions. A large bulk of marketplace lending to consumer borrowers is conducted through state-chartered banks which answer to the Federal Deposit Insurance Corporation (“FDIC”). The FDIC is able to regulate state-chartered, nonmember banks because those banks rely on their federal supervision in order to export their home state maximum interest rate under the Federal Deposit Insurance Act. The FDIC has scrutinized marketplace lending arrangements in three of its publications in the span of nine months, expressing systemic concerns for the safety and soundness of its supervised banks. In FIL-50-2016, the most recent proposed guidance in July 2016, the FDIC requested comment on draft guidance regarding third-party lending. The guidance provides safety and soundness and consumer compliance measures that FDIC-supervised institutions should follow when lending through a relationship with a third party, the agency explained, supplementing the FDIC’s existing Guidance for Managing Third-Party Risk, issued in 2008. Defining third-party lending as “an arrangement that relies on a third party to perform a significant aspect of the lending process,” the proposed guidance references categories such as institutions originating loans for third parties, originating loans through third parties or jointly with third parties, and originating loans using platforms developed by third parties. The FDIC noted that managing and controlling the risks of third-party relationships would be challenging, especially when origination volumes are substantial or numerous third-party relationships are in place. The FDIC advised that institutions should establish a third-party lending risk management program and compliance management system commensurate with “the significance, complexity, risk profile, transaction volume, and number of third-party lending relationships” to cope with these risks. As set forth in the guidance, the FDIC indicated that a bank’s risk management program and compliance management system should comprise four elements: risk assessment, due diligence and oversight, contract structuring and review, and oversight. The FDIC announced that examiners will assess MPL lending arrangements based upon credit underwriting and administration, loss recognition practices, the applicability of subprime lending guidance, capital adequacy, liquidity and funding, profitability and budgeting, accounting and allowance for loan and lease losses maintenance, compliance with consumer protection laws, programs for safeguarding customer information when held by third-party platforms, and oversight over the third party’s BSA/AML requirements. With regard to contract structuring, the FDIC advised that contracts with platforms should allow the bank to have full access to information and data necessary to perform its risk and compliance management responsibilities, including access to loan performance data, internal and external audits, and funding information. The proposed guidance would establish increased supervisory attention for institutions that engage in “significant” lending activities through third parties, defined to cover banks where such lending has a material impact on revenues, expenses or capital; involves large lending volumes in relation to the bank’s balance sheet; involves multiple third parties; or presents material risk of consumer harm. In such situations, the FDIC proposed a 12-month examination cycle, concurrent risk management and consumer protection examinations, off-site monitoring, and the possibility of the agency’s review of the third parties involved. On July 20, 2015, the US Department of the Treasury (“Treasury”) issued a Request for Information entitled “Public Input on Expanding Access to Credit through Online Marketplace Lending” (the “Treasury RFI”). Treasury was seeking information on a host of issues, including the role of electronic data sources and data-based processes in marketplace lending; business models and product offerings; access to credit for underserved markets; customer acquisition processes; accuracy of credit risk and underwriting models; platform relationships with traditional lending institutions; platform use of third-party service providers; what role government can play to help foster growth of the MPL market; risk-retention and alignment with investor interests; potential risks to consumers; investor considerations; and development and growth of a secondary market for MPL loans. Treasury received almost 100 formal comments from marketplace lenders and other FinTech companies, lending institutions, consumer groups, among other interested parties. Treasury is not technically a regulator, so the issuance of the RFI and the resulting White Paper presented more of a policy discussion than a set of proposed mandates. On May 10, 2016, Treasury issued its White Paper entitled, “Opportunities and Challenges in Online Marketplace Lending.” Treasury identified several core observations from the RFI responses, including: (1) the use of data and data modeling represents both potential benefits and potential risks, including fair lending risks and gaps in consumer protection; (2) the MPL industry has the potential to expand access to credit, although the majority of consumer loans are being originated for debt consolidation purposes; (3) the MPL industry is growing, but has not yet experienced a full credit cycle; (4) there is a perceived need for greater transparency for market participants, including with respect to pricing terms for borrowers and standardized loan-level data for investors, and the possible role of a registry for titling interests in MPL loans; (5) the secondary market is still developing and will require transparency; and (6) many commenters are looking to regulators to provide additional clarity around the roles and requirements for the various participants in the market, including with respect to consumer and small business protection, cybersecurity and fraud, bank partnerships and the true lender doctrine, Bank Secrecy Act and anti-money laundering (“BSA/AML”) requirements, and risk retention. 1. Provide an Exemplary Consumer Experience and Back-End Operations. MPLs must have a comprehensive servicing and collection strategy in place, including back-up servicing options, in the event of a down market and a resulting increase in delinquencies. Treasury also recommended that the industry adopt standards to improve each borrower’s experience throughout the entire loan process, even in the event of delinquency or default. 2. Increase Transparency for Investors and Consumers. To enable transparency, the MPL industry could create a publicly-available, centralized registry for tracking data on loans that includes data on the issuance of notes and securitizations and data on loan-level performance. Treasury suggested that improved transparency would help to develop a wider investor base and a more active secondary market. To improve investor transparency, Treasury suggested that the industry adopt standardized representations, warranties, and enforcement mechanisms. Additional recommendations centered around standardized loan data reporting standards, transparency on the performance of securitized loans, and consistent market-driven pricing methodology standards. 3. Greater Access to Credit Through Partnerships. Treasury recognized the potential for online marketplace lending to expand access to credit in underserved markets. According to Treasury, however, marketplace lenders currently serve primarily prime or near-prime borrowers. Treasury recommended that marketplace lenders better serve underserved markets through referral, co-branded, or white label partnerships with Community Development Financial Institutions (“CDFI”). But while recommending partnerships between financial institutions and marketplace lenders, Treasury also encouraged prudential regulators to evaluate these partnerships and their associated risks carefully. 4. Improved Access to Government-Held Data. Treasury encouraged wider use of smart disclosures (i.e., release of information in standard machine-readable formats). In addition, Treasury recommended that the CFPB and the FTC include the use of smart disclosures in their guidance and standards on consumer disclosures. 5. Establishment of a Standing Working Group. Treasury recommended the creation of a standing working group on marketplace lending that includes Treasury, the CFPB, FDIC, FRB, FTC, OCC, SBA, SEC, and a representative of a state bank supervisor. So while Treasury itself would not directly be regulating the industry, it would be working closely with those entities with enforcement authority. When the General Accounting Office (“GAO”) first started studying the MPL industry in 2011, it was widely discussed that the newly-created Consumer Financial Protection Bureau (“CFPB”) would ultimately become the industry’s leading regulator. In 2016, the CFPB has made announcements suggesting that it is moving aggressively towards assuming that role. On March 7, the CFPB formally announced that it would be taking complaints through its online portal from consumers regarding experiences with MPL lenders in origination or collection. In addition to its announcement about its complaint process, the CFPB issued an accompanying bulletin, entitled “Understanding online marketplace lending.” The bulletin advises consumers to consider certain issues before taking a loan, warns consumers about refinancing certain kinds of debt, advises consumers to check their credit reports, and lists various issues consumers should think about when loan shopping (including the length of the loan term, interest rates, fees and penalties). The Securities and Exchange Commission (“SEC”) has been the most involved regulator of the MPL industry since the arrival of LendingClub and Prosper, focusing primarily on the protection of investors and filing requirements associated with the registration of platform notes as “securities” pursuant to its 2008 enforcement proceeding. There have been new developments, including the final regulations on credit risk retention becoming applicable in December 2016. The risk retention requirements were designed to address criticisms of the misaligned incentives associated with the “originate to distribute model” of asset securitization. The risk retention requirements require a securitization sponsor to retain not less than five (5) percent of the credit risk for any asset that the securitizer transfers or sells to a third party through the issuance of an asset-backed security. In addition, the new regulations prohibit a securitizer from directly or indirectly hedging the credit risk that it is required to retain. The goal is to incentivize securitizers to improve the structure of securitizations and align the interest of securitizers with those of investors. The core question going forward in MPL securitizations involves which entity is the “sponsor” for the purposes of risk retention. A “sponsor” under the risk retention requirements is defined as “a person who organizes and initiates a securitization by selling or transferring assets, either directly or indirectly, . . . to the issuing entity.” Where a balance sheet lender securitizes loans that it originates and holds on its balance sheet, it will be deemed the “sponsor,” but where the loan seller is not the originator, but rather a type of loan aggregator, it could be argued that the funding bank or the platform could be deemed the “sponsor” depending on the circumstances, although commentators believe that the aggregator is the most likely party to be deemed the sponsor for risk retention purposes under that scenario. In a promising development for MPL investing, RiverNorth Marketplace Lending Corporation filed an N-2 with the SEC in June. The N-2 is the filing made by an Investment Company with the SEC in order to launch a “Closed End Fund” pursuant to the Investment Company Act of 1940. It is the first filing for a CEF in the United States that has an investment strategy focused on investing in marketplace loans. It is designed to attract the permanent capital that MPL platforms have been seeking, albeit in the form of high net worth individual investors. This CEF would allow individual investors to use professional management to gain access to diversified pools of marketplace loans without having to join each and every platform to hand pick loans for investment. But while the SEC is presumed to have encouraged this development in MPL financing, it is well known that the SEC is investigating the largest platforms for potential violations. Although the MPL industry has not been the subject of any noteworthy cases, platforms and investors alike have watched closely as courts have made controversial rulings that may have ominous ramifications for the business model of many MPL platforms. The first of these cases is a decision by the United States Court of Appeals for the Second Circuit in the case of Madden v. Midland Funding, LLC . The Madden case involved a New York borrower whose credit card account became delinquent, and was ultimately sold to a debt buyer for collection. The borrower brought a class action suit in federal court against the debt buyer alleging that the 27% interest rate provided for in the credit card agreement and charged by the debt buyer violated New York’s usury statute. those rates and fees in loans to borrowers residing in other states, even if those rates and fees would otherwise be illegal in the borrower’s state of residence. State chartered banks have similar rights to export rates and fees under a related federal statute . The trial court agreed that the usury law was preempted and the claim was dismissed, but the Second Circuit ultimately reversed that decision. The Second Circuit reasoned that preemption would apply if a national bank were collecting the debt, it does not apply if the usurious rate is being charged by a third party, non-bank purchaser of the debt. The Court stated that NBA preemption applies to a nonbank entity only when the entity has acted on behalf of a national bank. Since the debt buyer was an assignee rather than an entity acting on the bank’s behalf, preemption would not apply. The Court expressed its desire to prevent nonbanks from doing an “end run” around state usury laws. The Madden decision has been roundly denounced by the financial services industry. The decision ignored the “valid when made” doctrine that has been relied on by other appellate courts undertaking the same preemption analysis . The “valid when made” doctrine holds that an agreement is not usurious if its terms were not usurious at the loan’s inception, and that the validity of the loan travels to an assignee of the underlying promissory note. The debt buyer petitioned the Supreme Court to review the case. The Supreme Court requested the views of the Solicitor General on whether it should hear the case. The Solicitor General filed an amicus brief, that was joined by the Comptroller of the Currency, arguing that the Second Circuit’s decision was incorrect and that the “valid when made” doctrine required preemption. However, the Solicitor General did not recommend that the Supreme Court take the case, noting that the parties had neglected to litigate core components of the preemption analysis and therefore a direct conflict did not exist with other appellate court decisions on the issue. On June 27, the Supreme Court denied the petition for review. The case has been remanded and is ongoing. There is a remaining state law issue, as the credit card agreement had a choice of law provision, and it may be that the original interest rate will be permitted if the trial court of the application of Delaware law. The case may get reviewed again on this issue or related issues when a final judgment is entered. In the interim, the decision is binding in the Second Circuit states (New York, Connecticut and Vermont), but not elsewhere. There is also the added potential that the decision may apply to a borrower who moves to a Second Circuit state. In addition, debt buyers of defaulted debt generally will not be able to enforce the same interest rate as the creditor who originated the debt. It is likely also the case that other assignees of the loan are denied the same interest rate authority, including securitization vehicles, hedge funds, other purchasers of whole loans, including those who purchase loans originated by banks pursuant to private-label arrangements and other bank relationships common to the MPL industry. Another theory relevant to the applicability of usury statutes is the “true lender” theory being increasingly applied in payday loan scenarios in which the marketers of payday loans are accused of using solely as a ruse for evading state consumer protection and usury statutes. The litigation centers on whether the pay day loan marketer is the “true lender” and that the bank lender should no longer be considered for preemption purposes. Payday lender CashCall, Inc. has borne the brunt of this theory. In 2014, CashCall lost a case brought by the West Virginia Attorney General, in which the West Virginia Supreme Court ultimately upheld the decision to void the affected loans, enjoin CashCall from making additional loans in the State, applying millions in fines and punitive damages . Just this summer, the Consumer Financial Protection Bureau (“CFPB”) successfully advanced the same theory against CashCall in a California federal district court . In granting summary judgment to the CFPB, the Court ruled that CashCall engaged in deceptive practices by servicing and collecting on loans in certain states where the interest rate on the loans exceeded the state usury limit and/or where CashCall was not a licensed lender. The decision represents an extension of the CFPB’s aggressive theory that collecting on loans that state law renders void and/or uncollectable constitutes a violation of federal law. The court ruled that CashCall was the true lender on the loans that were issued by Western Sky Financial because “the entire monetary burden and risk of the loan program was placed on CashCall, such that CashCall . . . . had the predominant economic interest.” The court reached this conclusion based on the facts that, although the originator was the nominal lender on the loans, CashCall funded a reserve account to fund two days’ worth of loans, and also purchased all of the loans originated by Western Sky after a three-day holding period and before any consumer payments were made on the loans. In addition, CashCall had agreed to indemnify the lender for any liability arising from the loans. The court applied a “totality of the circumstances” test to determine which party to the transaction had the “predominant economic interest” in the transaction. This approach to determining “true lender” status could have implications for MPL arrangements in which platform lenders rely on bank partners to make and fund loans that are subsequently purchased and serviced by the platform. There are varying standards applied in “true lender” cases. Some courts apply the “totality of the circumstances” analysis applied in the California CashCall decision. Other courts focus exclusively on which creditor is named in the loan agreement. Many courts rely on which entity is responsible for three functions: (i) the determination to extend credit; (ii) the extension of credit itself; and (iii) the disbursement of funds resulting from the extension of credit. Finally, some courts have taken the more fact-intensive approach adopted here, evaluating the totality of circumstances to determine who has the predominant economic interest. In February 2016, LendingClub finalized changes to its loan origination program with WebBank. The changes are presumably designed to address factors that have been determinative in the Madden and true lender analyses. For example, the borrower agreement now explicitly specifies that WebBank maintains the account relationship with the borrower for the life of the loan. Moreover, LendingClub’s compensation from a loan is no longer structured as a fixed origination fee based on the loan’s principal, but rather is tied to the loan’s performance. These changes enable WebBank to assert an ongoing interest in each loan it originates through the LendingClub platform. State regulators have also been scrutinizing the MPL industry, particularly with regard to licensing issues in California and New York. The California Department of Business Oversight (“DBO”) has suggested concerns with the online marketplace lending business model. On May 9, the DBO sent letters to 14 marketplace lending firms with detailed questions as a follow-up to the responses the DBO received from its initial request in December 2015. The letters represent the second phase in the DBO’s inquiry into the industry’s practices. The letters focus on five main areas of concern: (i) fair lending; (ii) referral fees paid to brokers or other entities; (iii) loan underwriting (particularly those loans underwritten using alternative credit scoring models); (iv) partnerships with originating banks; and (v) investor protections for purchased and securitized loans. The DBO inquiry could, among other things, explore whether these entities are appropriately licensed under current state regulations, or whether a separate charter or body of regulations may be warranted for these companies. In addition, it is possible that the inquiry could lead to enforcement actions by the DBO itself or in conjunction with the CFPB. A somewhat similar inquiry was initiated by the New York Department of Financial Services (“DFS”). New York’s inquiry reportedly focused specifically on the activities of LendingClub. While it is unclear whether the DFS inquiry is the beginning of broader industry-wide investigation in New York, it may be the prelude to a more comprehensive review of the industry. Some recent reports suggest that the DFS is planning similar inquiries into other industry participants, focusing in part on whether marketplace lenders should be licensed in New York. The DFS inquiry reportedly focuses specifically on the interest rates, fees, duration and volume of loans made to New Yorkers, as well as LendingClub’s policies for complying with fair lending and consumer protection laws. Similar to the DBO inquiry, the DFS inquiry seeks to understand the contours of this business and the effects, if any, it might have on New Yorkers. Regulatory Risk: Original creditors are facing increasing regulatory guidelines for bank third-party relationships. A bank faces the risk of sanctions if the bank does not exercise adequate oversight over its platform partners. Reputational Risk: Original creditors also face the risk of adverse publicity if a bank partners with a platform that engages in abusive sales or collection practices. The bank faces similar risks if the platforms fail to service the loans properly. This risk is often associated with potential abuse of consumers. But it also extends to the risk that platforms have double sold loans, or have failed to maintain adequate custody of loan documents – servicing failures that ultimately lead to losses for investors. Litigation Risk: If investors lose money because of platform failure, they will look to the originating bank as a deep pocket to cover their losses. Jilted investors are likely to allege that the bank acted as a joint venture with the platform, and therefore assumed responsibility for inadequate disclosures or other forms of negligence arising in the origination, transfer or servicing of marketplace lending loans. Risk Retention: In the securitization context, banks face the risk that the Securities and Exchange Commission will regard the bank as the “sponsor” of the securitization because it sold the loans to the platform which in turn sold them to the securitizer with the expectation that the securitization would occur. The rules are only getting more onerous for MPL securitizations after December 24, 2016, when the credit risk retention requirements of Section 15G (and associated Rule 15G) of the Securities Act becomes applicable. Under Rule 15G, a securitizer (the party organizing the securitization and selling assets to the sponsor) is required to retain five percent of the credit risk associated with the securitization. The rule prohibits the securitizer from selling, transferring or hedging any economic interest in the credit risk, or financing it on a non-recourse basis. Regulatory Risk: Marketplace lenders are in danger of facing the “true lender” claims that have targeted the payday loan industry. A successful true lender claim, or any failure to comply with applicable consumer protection statutes or state licensing regulations could render the underlying loans unenforceable in certain states. The increased posturing of the CFPB in this space is an ominous sign for consumer protection claims again platforms in 2017. State regulators in New York and California have also become more assertive in seeking information from the industry, and could result in regulatory burdens that will increase costs or require changes to existing business practices. Risk Retention: The SEC could potentially take the position that a platform functions as a “sponsor” of a securitization, even though it sells the loans to purchasers who actually securitize them. The argument is that the platform sold the loans in anticipation of securitization and provided related administrative services that facilitated the securitization. In this scenario, the platform will be subject to the five percent risk retention requirement, or will be obligated to ensure that another “sponsor” satisfies the retention requirement. Reputational Risk: Adverse regulatory actions based on allegations of abusive or deceptive sales or collections practices will substantially damage a platform’s reputation. Similar reputational damage may result if the platform (i) fails to protect the confidentiality of borrower information and allows a data breach, and/or (ii) fails to maintain appropriate custody of loan documents (for those investors who do not themselves take possession), or similarly fails to maintain appropriate records of loan sales and collections, resulting in the improper allocation of collections to the appropriate investors. Funding Risk: If investors lose confidence in a platform, or in marketplace lending generally, the platform may no longer have access to third-party funding on the terms or in the amounts that it requires for continued operations, let alone any expansion of those operations. The industry is still in an experimental phase, and the misconduct of one platform may have a ripple effect on other platforms, as investor losses caused by one platform may affect the availability of funding for the industry as a whole. Data Breaches: Platforms should assume that they will be subject to a cyber-attack and therefore need to maintain adequate safeguards to protect customer data and proprietary information against unauthorized access. Borrower Fraud: Just as was the case in the subprime mortgage crisis, borrower fraud is a substantial risk. Platforms need to take precautions by verifying borrower-submitted information on loan portfolios, and must apply procedures designed to identify fraudulent applications. Platforms are often required to repurchase loans in the event of fraud or first payment default, pursuant to the representations and warranties made to the investors. Insolvency Risk: Investors purchasing pass-through notes issued directly by the platform may suffer losses or payment delays if the associated platform becomes insolvent. If they have not been granted a security interest in the underlying loans, or if any such security interest is defective, the risk of loss may be substantially increased. Investors purchasing pass-through notes issued by a special purpose entity (“SPE”) face similar risks although to a lesser extent. Investors (including loan purchasers as well as note investors) also face insolvency risk deriving from the pooling of investor funds and loan collections in a “purchaser online account” maintained by the platform. Fraud/Mismanagement: Investors could suffer complete or partial loss of collections if the platform (a) sells the same loan to more than one investor, or (b) fails to maintain appropriate records enabling it to properly allocate collections. There is the potential for this sort of risk to be masked by a Ponzi scheme arrangement for a period of time before the platform can no longer cover payments on existing loans with new originations or continued double sales. Regulatory Risk: Investors face the risk that purchased loans may become unenforceable because of the platform’s breach of federal or state consumer protection laws, or state usury caps or licensing requirements. Particular risks include misplaced reliance on bank preemption to establish exemptions from usury or licensing requirements, or decisions by the CFPB determining that specific loan terms or collection practices are abusive. Servicing Risk: Investors may incur losses if the platform does not properly service the loan. Greater losses are likely if the investor does not have appropriate rights to terminate the servicer. An additional risk is if a backup servicer has not been appointed, or is incapable of quickly assuming the servicing duties upon termination of the platform. A related risk is if the platform fails to render appropriate assistance in connection with a securitization contemplated by the investor when it acquired the loans. Loss of Collateral: In programs that make secured loans (such as small business loans), the investor is exposed to risk if the platform fails to perfect its security interest or is incapable of effectively realizing the value of the collateral following borrower default. Foreign Investors: Foreign investors are often a source of initial capital for start-up marketplace lenders, but foreign investors are generally subject to a 30% withholding tax on gross payments of interest made on any direct investments in marketplace loans in the United States, or a tax on net income if the investor is deemed to be in the business of making loans in the United States. To avoid these and other tax risks, arrangements need to be made to season or house the loans for a specified period before they are sold to the investor. Verification Risk: Investors face a risk of loss if acquired loans have not been properly documented by the platform. If the loan data does not match the underlying loan documents and the investor has not retained a competent verification or validation service to confirm the documents before the loans are purchased. Custodial Risk: If the investor does not take possession of the loan documents, or does not have placed into an electronic vault for its benefit, the investor will face the risk that access to such documents will be impaired if they are retained by a platform that becomes insolvent. The collectability of those loans is highly dependent on access to the underlying loan documentation. Documentation Risk: Investors are highly dependent on platforms to properly originate loans. If a platform’s standard loan application and associated loan documents is flawed under state or federal law, the loans may be unenforceable. For example, the loans may breach the Truth in Lending Act, or the platform’s power of attorney arrangement by which the borrower authorizes the platform to execute loans on the borrower’s behalf may be defective. Repurchase Risks: It is commonplace for an investor to obtain a commitment from the platform to repurchase ineligible loans. But the value of that commitment may be substantially impaired if (i) the commitment is subject to significant limitations on availability, or (ii) the platform does not have the financial capacity to repurchase a significant amount of nonconforming loans. Borrowing Entity Risk: The warehouse lender faces risks associated not only with the quality of the loans, but also with the quality of the borrowing entity to whom it has advanced the warehouse line. The borrowing entity may intentionally or inadvertently pledge the same loans to multiple lenders. Alternatively, the borrowing entity may fail to maintain adequate custody of the purchased loans, which would undermine the ability for the warehouse lender to collect on the loans in the event of default. Structuring Risks: If the borrower is not a Special Purpose Entity (“SPE”), the warehouse lender may have exposure to the borrowing entity’s insolvency risk. If the borrower is an SPE, the lender will likely want a parent company to provide a guaranty or other form of indemnification in order to ensure that it has adequate protection in respect of any losses that may occur in connection with the facility. Documentation Risk: As the borrowing entity, rather than the warehouse lender, will execute the loan purchase agreement and various other agreements with the platform, it needs to ensure that its rights in relation to the program are adequately protected in those documents. For example, the warehouse lender will want protections that require the borrowing entity to obtain the warehouse lender’s consent before agreeing to amendments of the loan purchase agreement, and will further want to control matters such as termination of a servicer. Collateral Deterioration: If the new loans pledged as collateral deteriorate in quality, the loans may become ineligible under the warehouse lending arrangement, and the borrowing base may be eroded. The warehouse lender may suffer related losses if the borrower is not required, or does not conform to an existing requirement, to end the revolving period, immediately provide the principal payments to the warehouse lender, and generally enhance the quality of the collateral going forward. Reputational Risk: A rating agency may suffer significant damage to its reputation if it’s rating of a marketplace loan securitization proves incorrect, particularly if the rating is too favorable. The performance information available for marketplace loans is still relatively limited. The lack of adequate loan and platform-specific information to support the ratings analysis remains a potential risk hampering efforts to increase the number of MPL securitizations. In addition, ratings agencies are obligated to consider all of the risks facing potential investors in MPL loans. Investors are increasingly aware of the regulatory uncertainties that affect marketplace lending, and a rating agency will need to show in its ratings analysis that it understands and has thoroughly considered these risks. Fraud Risk: A rating agency is entitled to presume the absence of fraud in assigning its rating. But platform level fraud that results in investor losses will nonetheless undercut investor confidence in the MPL sector and in the ratings process. No single, third party service can address every potential risk to each party in the MPL ecosystem, but GDR provides services that address core industry concerns necessary for attracting and protecting institutional capital. Specifically, GDR provides independent validation of loan-level information to enable greater asset certainty for investors, and GDR offers the industry’s only collateral pledge registry service to ensure a reliable process for confirming collateral in warehouse lending arrangements. GDR offer’s investors the first “real” validation service to ensure asset certainty. GDR’s validation service enables investors to have borrower and loan attributes independently verified without exposing the investor to the responsibilities and risks of managing the personally identifiable information (PII) associated with the loans. GDR receives this information from the MPL and validates it through trusted third party data sources to ensure that the loans and associated borrowers are real, that the platform accurately conveyed a borrower’s credit risk information to the investor, that the data in the loan file is consistent, and that the borrower is not currently listed as bankrupt, deceased, or on a watch list that would trigger AML/KYC obligations. GDR provides this service for investors at the initial purchase of loans, prior to a securitization of loans. GDR also does on-going monitoring to ensure trade lines are reported, and to do important compliance checks like AML/KYC. In addition, GDR offers a registry for MPL loans to record and track chain of ownership and servicing interests for the purpose of facilitating downstream transfers and facilitate a showing of standing for collection purposes. As discussed above, a common risk faced across the ecosystem is the risk of negligent or fraudulent origination. Improper validation of accounts carries with it potential exposure for loans that cannot be collected. There is also the strong possibility for reputational risk, as the origination and transfer of erroneous loans could destroy the reputation of platform lenders, and of those who invest or rate these loans. GDR confirms that the loans exist, that the borrowers exist, that the funds have been disbursed, that the borrower’s reported credit score was accurately relayed by the platform, and that the borrower is not listed publicly as deceased, bankrupt or on a watch list triggering AML/KYC reporting requirements. It further protects against reputation, legal and financial risks associated with trade line reporting and ongoing compliance monitoring of borrowers. the source file for a platform lender to track loan level assignments and releases of collateral. Leverage providers have expressed interest in this type of registry of collateral since it can greatly reduce risks related to inadvertent misassignment or double-assignments of loans. GDR’s ePledge collateral tracking registry addresses the risks related to asset certainty in warehouse lending arrangements. Warehouse lenders are protected from the potential of fraud or negligence committed by platforms, or by the investor granted a warehouse line. By recording and tracking collateral pledges, GDR also solves risks to the larger ecosystem relating to investments in the loans, including reputational and fraud risks faced by ratings agencies. GDR ensures pledges are not duplicated across lenders by validating loan and borrower information with the MPL and external data sources, while the warehouse lender ensures that the information it is receiving from the borrowing institution is valid. GDR’s Chain of Title Registry supports secondary market sales and downstream debt collection. GDR’s Registry merges the ingenuity of FinTech with time-honored safe and sound principles for validating the titling and documentary support of loans in the secondary market. Markets for assets have traditionally been facilitated by the adoption of centralized registries to track the title and supporting documentation associated with the asset. This solution is essential for a new industry offering swift automation of new loans that ideally will travel freely in a marketplace that is both liquid and sound for investors. As the market evolves and firms pursue different types of loans and different risk profiles, the ability to ensure compliance will be tested. The credit underwriting models, funding structures and the use of mostly outsourced collection services have not yet experienced challenging market conditions, such as a sharp rise in regional or national unemployment. As seen in other markets, a significant downturn in economic conditions can create challenges for debt owners when account information moves between parties. This has proven to be true historically when markets have been subject to liquidations and takeovers. In these circumstances, it can be difficult to substantiate a collector’s or debt owner’s right to collect the debt. Consumers can lose ready-access to account information, and incomplete, untimely or incorrect data can lead to harmful consumer practices in collection of past due accounts. For marketplace firms, the unique ownership and legal structures between investors and servicers creates an additional need to ensure that account information remains updated and intact as accounts flow between various parties in the marketplace. Registries have traditionally served to formalize the process of creating an asset and to confirm it chain of ownership. The GDR Registry resolves risks attributable to the ownership of and collection rights to the underlying loans, and creates a stable process for the origination and transfer of MPL Loans. GDR also tracks servicing rights in its registry to establish conclusively for all parties the collection rights and responsibilities throughout the life of the loan. The registry process is designed to help those dealing with issues at the back end of the life cycle of a loan, those in the collections process who require a definitive means of establishing authority to collect and who are subject to consumer protection statutes such as the Fair Debt Collection Practices Act or its state equivalents. GDR’s asset certainty products are designed to address many of the current and emerging regulatory risks by delivering greater transparency and certainty to the MPL ecosystem. MPLs will benefit from increased confidence in industry assets and investor and warehouse lenders will benefit from enhanced due diligence and reduced risk. In 2016, the regulators have identified a host of risks that they consider to be endemic to marketplace lending. While the industry has not yet seen a flood of new, binding regulations, that flood will come if the industry does not implement structural changes to alleviate the misalignment of interests in the origination, transfer, securitization, and collection of MPL Loans. GDR offers the solutions for asset certainty and formalized recording that will protect the interests of the MPL ecosystem, and quell the concerns of regulators who are still getting comfortable with online lending. With GDR’s solutions, the MPL industry would be positioned to overcome this period of regulatory disruption and evolve into a fixture in the world of consumer lending. This White Paper is for informational purposes only. GDR MAKES NO WARRANTIES, EXPRESS OR IMPLIED, IN THIS WHITE PAPER. GDR, GDR ePledge and GDR eValidate are trademarks of GDR Acquisition Company LLC. Other trademarks and trade names may be used in this document to refer to either the entities claiming the marks and names or their products. GDR disclaims proprietary interest in the marks and names of others. ©Copyright 2016 Global Debt Registry. All rights reserved. Reproduction in any manner whatsoever without the express written permission of GDR is strictly forbidden. For more information, contact GDR.